All companies, whether they realize it or not, deal with big data. One of the most common repositories of information that is considered big data is the database. Businesses of all shapes and sizes have databases to store multiple forms of information. Databases are used to track and manage vendors, maintain customer records, capture and record sales prospecting information, or to manage internal records such as employee profiles. 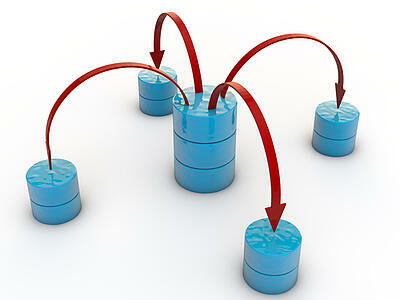 Many databases are hosted in-house on servers running database applications such as Oracle or Microsoft SQL. However there are many downsides to hosting and running databases on physical servers in-house. These types of databases require additional backup and recovery systems. Plus databases can grow exponentially in a short amount of time – which requires heavy investment in large capacity hardware or expansion drives as the amount of data in the database increases. One way to optimize a database while reducing the strain on internal IT resources is to move the database to the cloud. Unlike migrating files to the cloud, moving a database to the cloud is a difficult process that requires an immense amount of planning and multiple steps to take to make the migration successful. Often a move to the cloud requires suspending database operations, which can have a serious impact on business operations. Enter AWS Database Migration Services. Though still only offered as a preview, AWS Database Migration makes moving an internal database to the cloud a much simpler process. Here are just a few ways that AWS Database Migration Services make it easy to move to the cloud, with minimal impacts on business operations. The AWS Database Migration Service allows the source database to be fully operational during the migration process. This is achieved through continuous replication of the source database so that any changes made to data in the source database are replicated to the target (the database hosted on AWS). You can even elect to keep the cloud database synchronized with the source database for as long as you need, which helps to make moving the applications from the in-house database to the cloud something that can be done during off-peak business hours which reduces the impact that application downtime has on business processes. Even though Amazon has its own database platform, known as Amazon Aurora, the AWS Database Migration Service can migrate data to and from all widely used commercial and open-source databases. Businesses can choose to migrate their database to the cloud without changing platforms. So an in-house Oracle database can be moved to a cloud-hosted Oracle database. Or if the company wants to switch to a different database platform, the AWS Database Migration Service supports conversions during migration. For example, a company can migrate its Oracle database to the cloud but make the cloud database a MySQL database. As not all migrations involve exact replication, AWS provides a Schema Conversion Tool which converts source database schema and code, including views, stored procedures and functions, to a format compatible with the target database. Any code that isn’t converted automatically is marked by the system to help you identify where manual re-coding of the database is required.